Repointing mortar joins in historic brick buildings involves the process of removing deteriorating mortar from the joints of a masonry wall and replacing it with new mortar. Properly done, repointing restores the visual and physical integrity of the masonry. Improperly done, repointing not only detracts from the appearance of the building, but may, in fact, cause physical damage to the masonry units themselves. The purpose of this brief is to provide general guidance on appropriate materials and methods for repointing historic brick buildings and is intended to benefit building owners, architects, and contractors alike. Because of its general nature, this publication should not be considered a specification for repointing. Rather, it should serve as a guide to prepare such specifications; to develop sensitivity to the particular needs of historic masonry; and to assist historic building owners in working cooperatively with contractors and architects. The decision to repoint is most often related to some obvious sign of deterioration such as disintegrating mortar, cracks in mortar joints, loose bricks, damp walls, or damaged plasterwork. It is, however, erroneous to assume that repointing alone will solve all these problems. Therefore the true cause of the deterioration should be determined before beginning any repointing work. Leaking roofs or gutters, differential settlement of the building, capillary action causing rising damp, or extreme weather exposure should all be recognized as sources of deterioration and should be dealt with immediately. Without such action, mortar deterioration will continue and any repointing work will have been a waste of time and money. It is important to recognize that repointing will probably be both expensive and time-consuming due to the extent of handwork and special materials required; however, it should also be emphasized that it is not only possible, but preferable to repoint only those areas that require work rather than an entire wall, as is often specified. Recognizing this at the outset may prevent many restoration/rehabilitation jobs from becoming prohibitively expensive. In scheduling, seasonal aspects need to be considered first. Generally speaking, repointing should only be undertaken when the wall temperatures are between 40 and 95 degrees (F) to prevent freezing or excessive evaporation of the water in the mortar. During hot weather, repointing should ideally be done on the shady side of the building in order to slow the drying process of the mortar. The relationship of repointing to other proposed work on the building must also be recognized. For example, if paint removal or cleaning are anticipated and if the mortar joints are basically in sound condition and only need selective repointing, it is generally better to postpone repointing until after completion of these activities. However, if the mortar has badly eroded, thus allowing moisture to penetrate deeply into the wall, repointing should be accomplished before cleaning. Related work such as structural or roof repairs should be scheduled so that they do not interfere with repointing and so that all work can take maximum advantage of scaffolding. * is as soft, or softer (measured in compressive strength) than the historic mortar. 1) Remove three or four unweathered samples of the mortar to be matched from several locations on the building (set the largest sample aside--this will be used later for comparison with the repointing mortar). It is important to recognize that many historic buildings have been repointed a number of times and that on any given wall surface there may be a variety of mortars. Therefore, it is important to remove as many samples as are representative to obtain a "mean" mortar sample. 2) Break the remaining samples apart with a wooden mallet until they are separated into their constituent parts. There should be a good handful of the material. 3) Carefully blow away the powdery material (the lime or cement matrix which bound the mortar together). 4) With a low power (10 power) magnifying glass, examine the remaining sand and other materials such as oyster shells. 5) Note and record the wide range of color as well as the varying sizes of the individual grains of sand or shell. Historic sand colors may range from white to grey to yellow within a given mortar sample. Furthermore, the varying sizes of the grains of sand or other materials such as shell play an important role in the texture of the repointing mortar. Historic sand was not screened or graded by size as it is today. Therefore, when specifying sand for repointing mortar, consideration may need to be given to obtaining sand from several sources and then combining them in order to approximate the range of sand colors and grain sizes in the historic mortar sample. The role of the sand in the overall appearance of the replacement mortar should not be underestimated! Pointing styles and the methods of producing them should be examined (figure 2). It is important to look at both the horizontal and the vertical joints to determine the order in which they were tooled and whether they were the same style. Some late19th and 20th century buildings, for example, have horizontal joints that were tooled while the vertical joints were finished flush and stained to match the bricks, thus creating the illusion of horizontal bands. It is significant to note that pointing styles often differed from one facade to another. Front walls often received greater attention to mortar detailing than side and rear walls. Bricks should also be examined so that any replacement will match the historic brick. Within a wall there may be a surprising range of colors, textures, and sizes, particularly with handmade brick. Replacement should match the full range of the historic brick rather than a single brick. Although many bricks can be matched from existing stock, they must often be customordered, a lengthy process that can seriously affect the project budget and schedule. Here, there should be a note of caution! The use of recycled brick from demolished buildings for replacement brick often results in an excellent color and texture match: however, it is important to remember that historic brick was manufactured in varying grades, ranging from high-fired exterior brick to low-fired interior "bat" or "clinker" brick. This lowfired brick was never intended to be exposed to the weather, and, when used for replacement brick on an exterior wall, will deteriorate at a rapid rate, often needing replacement within a year or two. Great care, therefore, should be taken in choosing the proper type of recycled brick. In general, mortars for repointing should be softer (measured in compressive strength) than the masonry units and no harder than the historic mortar. This is necessary to prevent damage to the masonry units. It is a common error to assume that hardness or high strength is a measure of durability. Stresses within a wall caused by expansion, contraction, moisture migration, or settlement must be accommodated in some manner; in a masonry wall, these stresses should be relieved by the mortar rather than by the bricks. A mortar that is stronger or harder than the bricks will not "give," thus causing the stresses to be relieved through the bricks--resulting in cracking and spalling (figure 3). Stresses can also break the bond between the mortar and the brick, permitting water to penetrate the resulting hairline cracks. Sand: Sand is the largest constituent of mortar and the material that gives mortar its characteristic color and texture. When viewed under a magnifying glass or low-power binocular microscope, particles of sand generally have either rounded edges, such as found in beach or river sand, or sharp, angular edges, found in crushed or manufactured sand. For repointing mortar, rounded or natural sand is preferred for two reasons. First, it is usually similar to the sand in the historic mortar, thus providing a better visual match. Second, it has better "working" qualities or plasticity and can thus be forced into the joint more easily, forming a good contact with the historic mortar and the surface of the bricks. Although manufactured sand is frequently the only type readily available, it is worth the search to locate a sufficient quantity of rounded or natural saltfree sand for repointing . Lime or Portland Cement: The two commonly used binders for mortar are lime and portland cement. Of the two, lime produces a mortar that meets nearly all the requirements for a good mortar for historic buildings, while portland cement produces a mortar that does not perform as well. High lime mortar is soft, porous, and changes little in volume during temperature fluctuations. In addition, lime mortar is slightly water soluble and thus is able to reseal any hairline cracks that may develop during the life of the mortar. Portland cement, on the other hand, can be extremely hard, is resistant to movement of water, shrinks upon setting, and undergoes relatively large thermal movements. The use of a high lime mortar, therefore, is recommended for nearly all repointing projects. However, white portland cement can be substituted for up to 20 percent of the lime (ex. 1 part cement to 4 parts lime). This will usually improve workability or plasticity without adversely affecting the desirable qualities of the lime mortar. Plasticity is important to ensure a good bond between the new mortar, the historic mortar, and the brick. Water: Water should be clean and relatively free of salts or acids. Historic Additives: In addition to the color of the sand, the texture of the mortar is of critical importance in duplicating historic mortar. While modern mortars are finely ground and present a uniform texture and color, historic mortars were not as well ground. They may contain lumps of oyster shell, partially burned lime, animal hair, or particles of clay. The visual characteristics of these additives should be duplicated through the use of similar materials in the repointing mortar. In matching the repointing mortar, the new mortar should match the unweathered interior portions of the historic mortar. The simplest way to check the match is to make a small sample of the proposed mix and allow it to cure; this sample is then broken open and the broken surface is compared with the broken surface of the largest "saved" sample of historic mortar. If it is not possible to obtain a proper color match through the use of natural materials because locally available sands are not a close match to the original sand, it may be necessary to use a modern mortar pigment, and, in fact, some historic mortars did use such additives. In the late 19th century, some mortars were colored with pigments to match or contrast with the brick. Red, brown, and black pigments were commonly used. Pigments are available as separate ingredients or already mixed with mortar; however, the premixed mortars normally are not suited for use on repointing projects because of their high portland cement content. Only chemically pure mineral oxides, which are alkaliproof and sunfast, should be used in order to prevent bleaching and fading. Modern materials specified for use in repointing mortar should conform to specifications of the American Society for Testing Materials (ASTM) or comparable federal specifications. Sand should conform to ASTM C144 to assure proper gradation and freedom from impurities. Sand color, size, and texture should match the original as closely as possible to provide the proper color match without other additives. Samples of sand proposed for use should be submitted for approval prior to beginning work. Lime should conform to ASTM C207, Type S, Hydrated Lime for Masonry Purposes. This lime is designed to assure high plasticity and water retention with a safe degree of strength. The use of quicklime which must be slaked and soaked, does not necessarily provide better results. Cement should conform to ASTM C150, Type II (white nonstaining) portland cement. It should not have more than 0.60 percent alkali to help avoid efflorescence. Water should be potable--clean and free from acids, alkalies, or large amounts of organic materials. Historic Additives will require writing new specifications for each project. If possible, suggested sources for special materials should be included. For example, crushed oyster shells frequently can be obtained in a variety of sizes from poultry supply dealers. * Material proportions should be given in volumes, that is, 4 parts of lime to 12 parts of sand, rather than 2 bags of lime to 6 cubic feet of sand. This will avoid any confusion on the job site when substitution of sources occur with differing packaging sizes. * Repointing mortar for most historic buildings should ideally be composed only of lime and sand. A proportion of 1 part of lime to 2 parts of sand is a useful starting point. * ASTM C150, Type II (white nonstaining) portland cement may be added to the repointing mortar to increase workability and to achieve whiteness in color; however, no more than 20 percent of the total volume of the lime and portland cement--combined--should be portland cement. Any greater amount of portland cement increases the hardness of the repointing mortar to a potentially damaging degree. * For surfaces of extreme weather such as parapet walls or water tables, a harder mortar (6 parts of sand, to 3 parts of lime, to 2 parts of white portland cement) may be more desirable. The Test Panel: In choosing a contractor or mason, perhaps the best way to award the contract and for the contractor or mason to demonstrate his or her work in a repointing job is the test panel: a small demonstration section of joint preparation and repointing actually done on the historic masonry. The test panel should be carefully selected to include all types of masonry, joint styles, and types of problems to be encountered on the job. Usually a 3foot by 6foot area located in an inconspicuous yet readily accessible place is sufficient. Joint Preparation: Old mortar should generally be removed to a minimum depth of 2-1/2 times the width of the joint to ensure an adequate bond and to prevent mortar "popouts." For most brick joints, this will require removal of the mortar to a depth of approximately 1/2 to 1 inch. Any loose or disintegrated mortar beyond this minimum depth should be removed (fig. 4). The use of power tools such as saws with carbide blades or impact hammers for the removal of mortar almost always results in damage to the bricks by breaking the edges and by overcutting on the head, or vertical, joints (fig. 5). Damage to the bricks not only affects their visual character but can also lead to accelerated weather damage. Where joints are uniform and fairly wide, it may be possible to use a grinder to assist the removal of mortar; however, final preparation of the joint should be done by hand. Test panels are quite helpful, but they cannot adequately assess the potential effect of using a grinder since such panels are not prepared under actual working conditions. If there is any chance of damaging the masonry, handmethods should be used exclusively. Although slower, these methods are easier to control and less likely to cause irreversible damage to the bricks. Mortar should be removed cleanly from the bricks, leaving square corners at the back of the cut. Before filling, the joints should be rinsed with a jet of water to remove all loose particles and dust. At the time of filling, the joints should be damp but with no standing water present. Mortar Preparation: Mortar should be mixed carefully to obtain uniformity of visual and physical characteristics. Dry ingredients should be measured by volume and thoroughly mixed before the addition of any water. Half the water should be added, followed by mixing for approximately 5 minutes. The remaining water should then be added in small portions until a mortar of the desired consistency is reached. The total volume of water necessary may vary from batch to batch, depending on weather conditions. Mortar should be used within 30 minutes of final mixing, and "retempering," or adding more water after the initial mix is prepared, should not be permitted. Modern Additives: In general, modern chemical additives are unnecessary and may, in fact, have detrimental effects. The use of antifreeze compounds is not recommended. They are not very effective with high lime mortars and may introduce salts, which will later cause efflorescence. A better practice is to warm the sand and water, and to protect the completed work from freezing. The use of airentraining additives to resist frost action and enhance plasticity, are also discouraged, since the air has a detrimental effect on both bond and strength of the mortar. In areas of extreme exposure requiring highstrength mortars (see formula for "extreme weather exposure" under Mortar Mix section), air-entrainment of 1016 percent may, however, be desirable. Bonding agents that increase the bond of the new mortar to the old should also be avoided. If the joint is properly prepared, there will be a good bond between the new mortar and the adjacent surfaces; chemical agents do not significantly improve this bond and are not a substitute for proper joint preparation. In addition, some of the agent will inevitably become smeared on the surface of the masonry and removal is very difficult. Filling the Joint: Where existing mortar has been removed to a depth of greater than 1 inch, these deeper areas should be filled first, compacting the new mortar in several layers. The back of the entire joint should be filled successively by applying approximately 1/4 inch of mortar, packing it well into the back corners. This application may extend for several feet. As soon as the mortar has reached thumbprint hardness, another 1/4 inch layer of mortar--approximately the same thickness--may be applied. Several layers will be needed to fill the joint flush with the outer surface of the brick. It is important to allow each layer time to harden before the next layer is applied; most of the mortar shrinkage occurs during the hardening process and layering thus minimizes overall shrinkage. The rate of hardening can be controlled by dampening the brick and the old mortar before beginning to fill the joint, but free water or excessive dampness in the joint should be avoided. Too much water will delay the tooling or cause excess shrinkage; too little water will be absorbed from the mortar before it is properly set, thus reducing bond strength. When the final layer of mortar is thumbprint hard, the joint should be tooled to match the historic joint. Proper timing of the tooling is important for uniform color and appearance. If tooled when too soft, the color will be lighter than expected, and hairline cracks may occur; if tooled when too hard, there may be dark streaks called "tool burning," and good closure of the mortar against the brick will not be achieved. If the old bricks have worn, rounded edges, it is usually best to recess the final mortar slightly from the face of the bricks. This treatment will help avoid a joint visually wider than the actual joint width; it will also avoid creation of a large, thin featheredge which is easily damaged, thus admitting water (figs. 6 and 7). After tooling, it is frequently necessary to remove excess mortar from the edge of the joint by brushing with a bristle brush. "Aging" the Mortar: Even with the best efforts at matching the existing mortar color, texture, and materials, there will usually be a visible difference between the old work and the new, partly because the new mortar has been matched to the unweathered portions of the historic mortar. If the mortars have been properly matched, the best treatment for surface color differences is to let the mortars age naturally. Another reason for a slight mismatch may be that the sand is more exposed in old mortar due to the slight erosion of the lime or cement. Several methods of treatment have been attempted in an effort to overcome these differences. As with all work, however, any proposed treatment should bc carefully tested prior to implementation. Efforts to stain the new mortar to produce a color match should, in most cases, be avoided. Although such a process may provide an initial match, the old and new mortars may weather at different rates, leading to visual differences after a few seasons. In addition, the mixtures used to stain the mortar may be harmful to the masonry, for example, introducing salts into the masonry which can lead to efflorescence. Cleaning: If repointing work is carefully executed, there will be little need for cleaning other than the small amount of mortar brushed from the edge of the joint following tooling. This type of cleaning is best accomplished with a stiff bristle brush after the mortar has dried, but before it is fully hardened (12 hours). Mortar that has hardened can usually be removed with a wooden paddle or, if necessary, a chisel. Further cleaning is best accomplished with plain water and bristle brushes. If chemicals must be used, their selection should be made with extreme caution. Improper cleaning can lead to deterioration of the masonry units, deterioration of the mortar, mortar smear, and efflorescence. New mortar joints are especially susceptible to damage because they do not become fully cured for several months. Chemical cleaners, particularly acids, should be used only once and should be flushed freely with plain water to remove all traces of the chemicals. 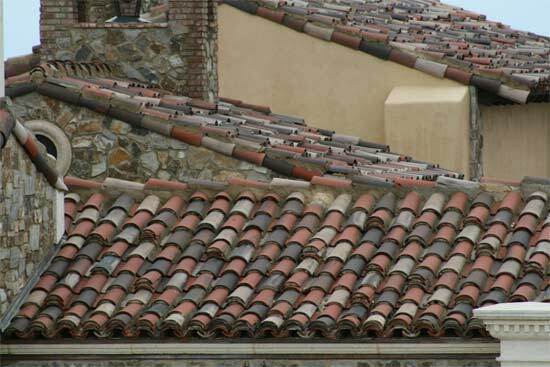 Several precautions should be taken if freshly repointed mortar joints are being cleaned. First, the mortar should be fully hardened before cleaning--30 days is usually sufficient, depending on weather and exposure (as mentioned above, the mortar will continue to cure even after the mortar has hardened). Test panels should be prepared to evaluate the effects of different cleaning methods. Only stiff natural bristle brushes should be used, except on glazed or polished surfaces. Here, only soft cloths should be used. Further information concerning masonry cleaning is presented in Preservation Briefs 1 "The Cleaning and Waterproof Coating of Masonry Buildings." New construction "bloom" or efflorescence occasionally appears within the first few months of repointing and usually disappears through the normal process of weathering. If the efflorescence is not removed by natural processes, the safest way to remove it is by dry brushing with stiff natural or nylon bristle brushes and water. Hydrochloric (muriatic) acid, is generally ineffective and should be avoided in the removal of efflorescence. In fact this chemical may deposit additional salts, which, in turn, can lead to additional efflorescence. Scrub Coats: A variety of new and purportedly useful repointing techniques for historic buildings are being offered by contractors which, appear to have limited usefulness in historic preservation. These techniques are identified under a variety of names that include: slurr coats, slurry coating, and, most commonly, scrub coating. All involve the brushing of a thinned, low-aggregate coat of mortar over the entire masonry surface which, when dry, is scrubbed off the brick with a brush, presumably leaving a residue in the mortar joint. These techniques have become increasingly appealing as they are quick, inexpensive in comparison to traditional repointing costs, and do not require particularly skilled labor or craftsmanship. Their greatest attraction lies in repointing large masonry surfaces such as highrise structures, but their benefit to historic masonry is essentially cosmetic. A certain amount of crack sealing in the mortar joint does occur, and for these limited applications it is a useful technique; however, these techniques should not be confused with, or substituted for, repointing. It is not the same process. Slurr coats and slurry and scrub coatings, tend to mask joint detailing or tooling, have a life expectancy of only a few years, and are extremely difficult to clean from the surface of the brick without leaving a residue, called "veiling." While of some limited use in specific instances, these new techniques are not appropriate for historic buildings and should therefore not be considered when a lasting and durable repointing job is desired. For the Owner/Administrator: The owner or administrator of an historic building must constantly remember that repointing is likely to be a lengthy and expensive process. The owner will need to allow adequate time for evaluation by a qualified preservationist, for preparation of plans and specifications for the work, and for a lengthy work period with scaffolding in place. Schedules for both repointing work and other activities will thus require careful coordination to avoid unanticipated conflicts. The owner must avoid the tendency to rush the work or economize if the building is to retain its visual integrity and the job is to be durable. For the Architect/Consultant: The architect/consultant must assist the owner in planning for logistical problems relating to research and construction. The consultant must also realize that older buildings have special problems usually not encountered with modern building materials or techniques of construction. Therefore, extra research will be required, and nonstandard materials and procedures will need to be used in evaluating the work of potential contractors to ensure that they are qualified to work on projects of the type anticipated. The consultant must also be prepared to spend more time than is customary in modern construction to inspect the work. For the Contractor/Craftsman: The contractor or craftsman must keep in mind that a repointing project for a historic building will be slower and more expensive per unit cost than work on a modern building. The contractor must understand the reasons for these special requirements, and must convey them to the workers at all levels. Understanding the nature of the project and the potential problems will not only allow the contractor to submit a more accurate bid, but will also provide for the use of nonstandard methods in performing work. First and foremost, a good repointing job is meant to last, often in the range of 50100 years. Shortcuts and poor craftsmanship not only result in a job that looks bad but also is one that will require future repointing more frequently than if the job had been done correctly in the first place. The mortar joint in a historic brick building has often been called the wall&apos;s "first line of defense." Good repointing practices guarantee the long life of the mortar joint, the wall, and the historic structure. However, while careful preservation, restoration, and maintenance will guarantee the long life of the freshly repointed mortar joints, it is important to remember that these mortar joints will probably require repointing some time in the future. It is the nature of mortar joints to deteriorate. Nevertheless, if the historic mortar joints proved durable for many years, then careful repointing should have an equally long life, ultimately contributing to the preservation of the historic brick building. (1) Two detailed methods for performing a mortar analysis are presented by E. Blaine Cliver in "Tests for the Analysis of Mortar Samples" in the Bulletin of the Association for Preservation Technology, vol. 6 (no. 1, 1974); and Morgan W. Phillips in "Brief Notes on the Subjects of Analyzing Paints and Mortar and the Recording of Moulding Profiles: The Trouble with Paint and Mortar Analysis" in the Bulletin of the Association for Preservation Technology, vol. 10 (no.2, 1978). Brick Institute of America. 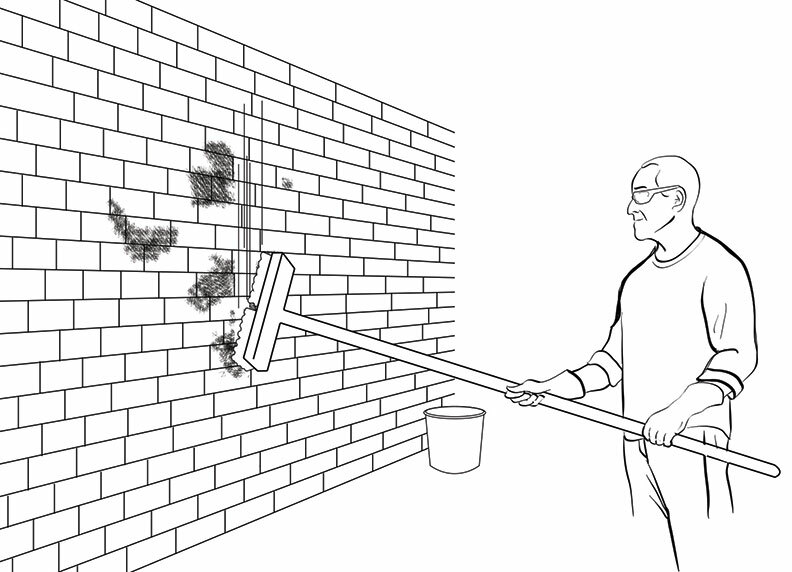 "Cleaning Brick Masonry" Technical Notes on Brick Construction (no. 20) rev., Sept/Oct., 1977. Cliver, E. Blaine. "Tests for the Analysis of Mortar Samples," Bulletin of the Association for Preservation Technology, vol. 6 (no. 1, 1974), pp. 6873. Mack, Robert C. "The Cleaning and Waterproof Coatings of Masonry Buildings," Preservation Briefs: 1, Heritage Conservation and Recreation Service, Washington, D.C., November 1975. Mack, Robert C., and Askins, James S. "The Repointing of Historic Masonry Buildings," Downers Grove, Illinois, Service Master Industries, 1979. McKee, Harley J. "Brick and Stone: Handicraft to Machine," Building Early America. The Carpenters&apos; Company of the City and County of Philadelphia, 1976. McKee, Harley J. Introduction to Early American Masonry. Washington, D.C.: National Trust for Historic Preservation/Columbia University, 1973. Phillips, Morgan. "SPNEAAPT Conference on Mortar," Bulletin of the Association for Preservation Technology, vol. 6 (no. 1, 1974). This brief was first written by Robert C. Mack, AIA, in 1976. It has been revised and updated in 1980 by Robert C. Mack, de Teel Patterson Tiller, Architectural Historian, Heritage Conservation and Recreation Service (HCRS), Department of the Interior; and James S. Askins, Preservation Craftsman, National Park Service, Department of the Interior. Other HCRS staff members who contributed materially to the development of this revised brief are Kay D. Weeks, Technical WriterEditor, and James A. Caufield, Historical Architect. Washinton, D.C. 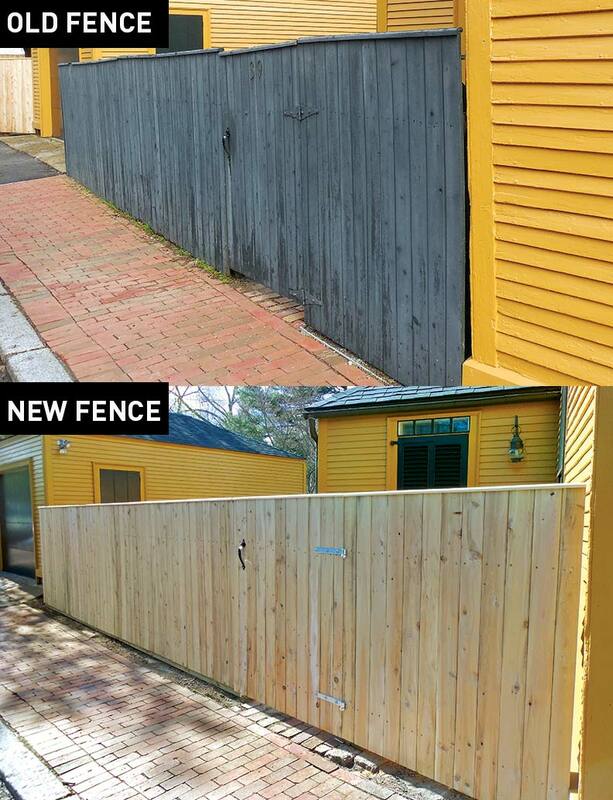 Learn how to build a simple but historic fence to match the architecture. Spend an hour removing moss stains from your brick walls with this easy process.